Did you miss a post in this series? Read parts one, two, three, and four. 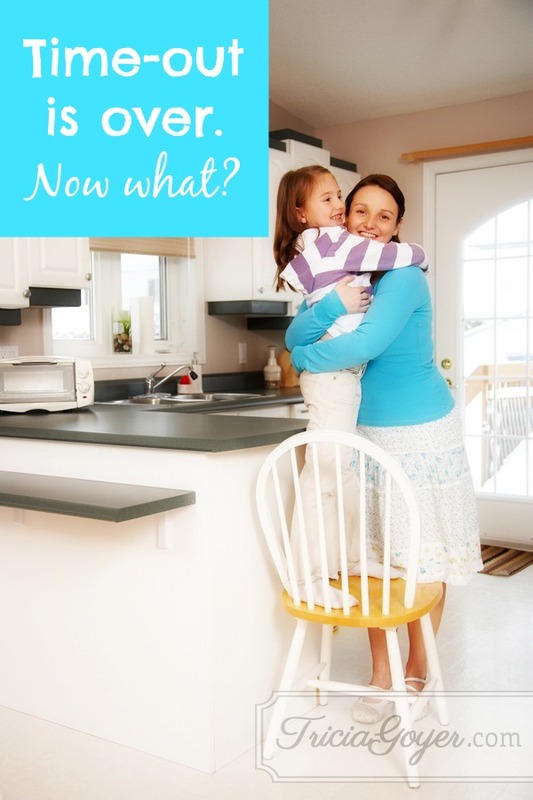 So, now that you’ve effectively been using time-out, what do you do when the time is up? After your child has been sitting quietly, the timer will sound. Don’t just let your child get down. Go to your child. Ask, “Are you ready to obey?” If your child answers yes, then have him or her complete the task you originally asked him or her to do . . . and a second task. If the offense was against another person, direct your child to apologize. Shortly after a time-out, discover something your child is doing right and PRAISE your child. In the beginning it’s important to only do time-out inside the home. But after a while, when your child does time-outs consistently, you can attempt a time-out outside of the home. It’s recommended to carry a small towel with you that you can use for a time-out . . . even in a public place! Just pick a corner, put down the towel, and go through the same routine. This only works for a child who has been consistent within the home, but I’ve used it and it does work! Remember: Praise More than You Punish! As with all negative behaviors, the best way to encourage good behavior is to praise it! I find that the more I praise positive behaviors, the more positive behaviors I see! It’s important to catch your child being good often, and you’ll find yourself doing time-out less and less! Well, what do you think! I’d love for your to try it and let me know your thoughts! Thank you so much for this time out series! Time outs in our home aren’t always very effective, so I’ll be trying these out very soon. I often forget to praise my son for good behavior, kind of feeling like he should just “have it down” by now, but this is a great reminder that people respond better to praise than punishment. Thank you again!